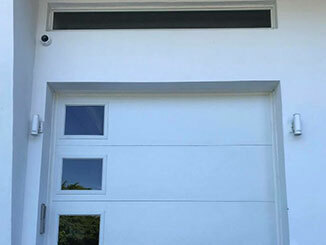 Security is an all-important concern when it comes to maximizing the value of a quality garage door. You can definitely do your part to seal off security loopholes Read on to learn more! Security maintenance is one of the more important issues to consider when it comes to garage door openers. If you have a unit powered with a wireless keypad, make sure you change your codes and keep them secure. Use code combinations that are easy for you to remember but difficult for others to guess. When changing codes, remember to keep track of it by maintaining a note in your mobile phone or any other gadget that is also protected with a security code. Writing the code on a piece of written paper makes it much easier for others to gain access to your home. Keep your garage opener remote out of sight. Don't leave it on your vehicle’s dashboard. Ruthless intruders may well spot it and attempt to break into your car to get it. All modern units today will come with a safety reversal feature as part of the opener system. This function prompts the heavy door to reverse automatically if it senses that something or someone is in the way while it is closing. You should check your safety reversal feature is properly working on a fairly regular basis. Simply place a block of wood, broom, or another object in the path of the door and try to close it using your remote. If the function is working well, the door will reverse automatically once the safety sensors have detected something in the path. If there's an issue, this could be the result of alignment problems or another issue with the sensors. If you've cleaned your photo eyes and you're still experiencing issues, contact our team at Garage Door Repair Bluffdale sooner rather than later. You don't want to wait too long and have an accident occur.